This is actually pretty easy to write about because this movie has had so many production issues. 1) Scott Lang the star is not a widely known character. The more well known Ant-Man is Hank Pym. 2) Ant-Man is almost no one's favorite character. He gets small and that is not the most exciting thing. 3) There are no major well known villains in his rogues gallery. The villain of this film, Yellow Jacket does not even exist in the comics. Yellow Jacket in the comics is one of the mantles worn by Hank Pym but is not an outright villain. 4) The film went through creative hell with numerous directors and producers attached to it. 5) Paul Rudd the film's star is not known for action roles at all. 6) It comes on after the super spectacular Avengers: Age of Ultron that starred numerous characters more well known and popular than Ant-Man. Ant-Man should be a different Marvel film. In particular, I see it as the anti-Age of Ultron Marvel movie. Many are going to expect the same Marvel formula but I think the best way for this film to succeed is if it differs from the others. The most noticeable difference should be Scott Lang himself. I doubt most have noticed Scott much yet. He is the main character and played by Paul Rudd. 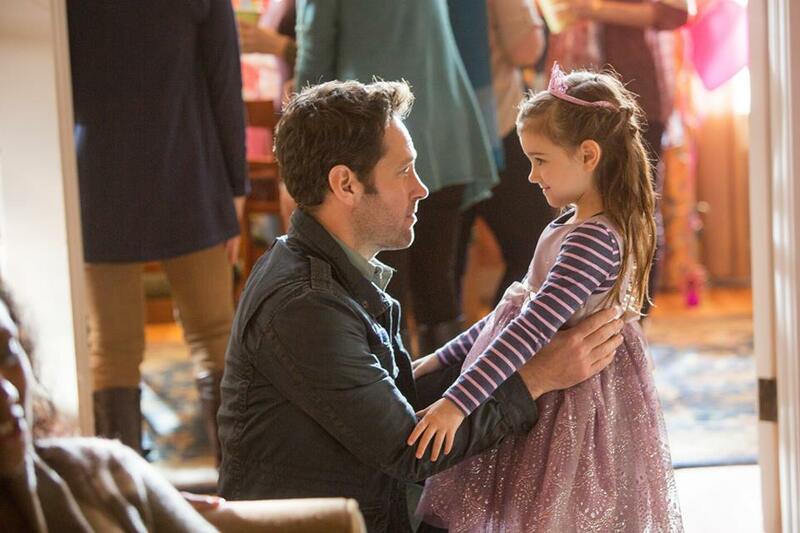 When people watch the Ant-Man teasers I hear them say hey that is Paul Rudd that guy I like from romantic comedies. Then Marvel show cases its normal oooo and awwww special effects. This film though is not going to compete with previous MCU films based off the super hero battles and the special effects. There is not a single Ant-Man battle that competes with the Hulk vs the Hulkbuster battle that appeared in Avengers: Age of Ultron. 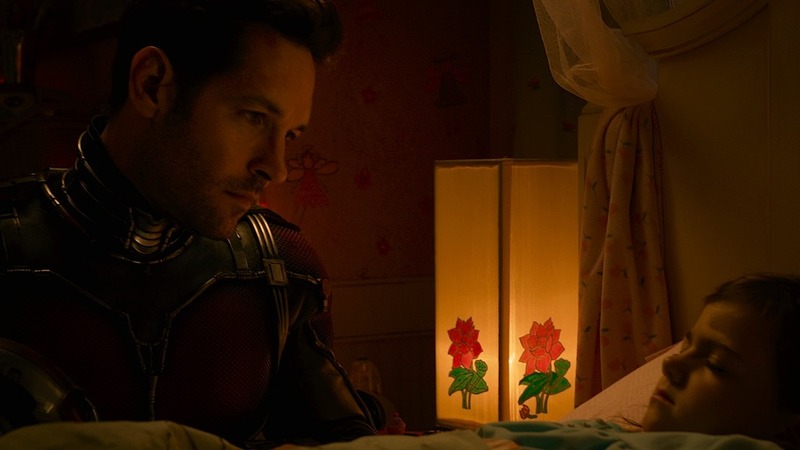 Where Ant-Man and particularly the hero Scott Lang are different is in their averageness, normalness, and in his every day joe quality. What I am saying here is likely a bit different than what you would expect to hear a comic geek say. Comic book films are not known for drilling into the everyday, or the everyman. Generally, they are about the spectacular, steroids infused dreams of youth, exploding mercilessly on the screen. Ant-Man will have some of this but it will stand out, and succeed using the everyday simple relationships and moments that other hero stories gloss over, as its core. Scott Lang is one of few all around descent human beings of the Marvel Universe. Yes, he dons a suit to save the world, but he is first and foremost a Dad. He is a better dad than he is a hero. Lets be clear he does not see himself as a good dad. He went to prison, messes up his marriage and in some sense his whole life is a big mess. Through all this though he never stops caring, and attempting to be the best dad he can be. Cassie meanwhile sees in her father the hero that no one else does, and believes in him, even when he doesn't believe in himself. Now you might say aren't the Avengers descent human beings? They are amazing but they really are not guys or gals you want to be married to. At best they are very flawed, and damaged people who happen to have extraordinary gifts, they manage to plow through their internal disorders and save the day. Do you want to know why they choose Scott Lang over Hank Pym? Because Hank Pym is a dousch who you want to see get flattened half the time. Scott Lang by contrast is the world's underdog who you can't help but root for. There is sometimes something very extraordinary in the ordinary. 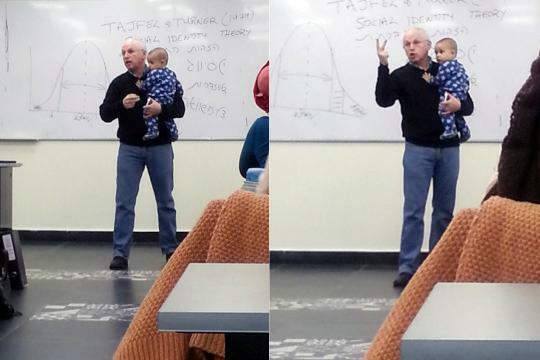 This morning I saw that a simple picture of a professor holding a students child went viral and exploded all over the world. The picture is of a man.......holding a toddler. There is no lightning, green muscles, or robots just a man holding a toddler and BOOM. Its huge. In the most recent Ant-Man story Scott wins a prestigious job of being Tony Stark's head of security. He turns down the offer though because his daughter moves Miami and without a moment's hesitation he follows. He is not the hero of a city, a war, a Asgard, he is the hero of a little girl. That is how the movie will succeed or how it will fail.